C’est aussi l’occasion d’obtenir des rétroactions sur ses travaux par les pairs et d’entrevoir des avenues de recherche jusque-là insoupçonnées (Allard, Landry et Meunier, 2006 : 10)*. Au terme de ces colloques, une publication arbitrée est produite. Since 1993, the annual meeting of the Special Interest Group in Education and Museums (SIGEM) is a moment of privileged exchanges between scholars, graduate students and museum professionals. 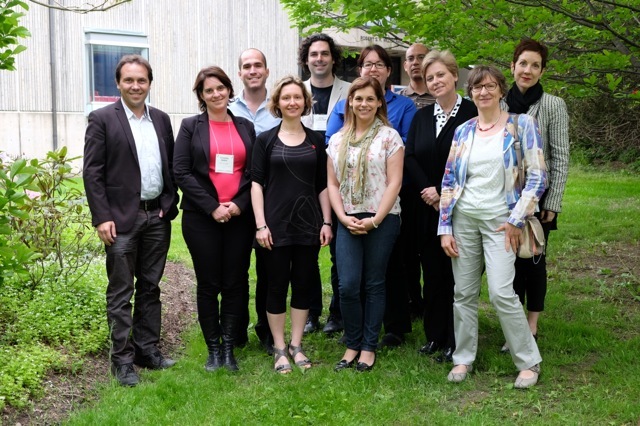 Specialists from Canada and elsewhere in museology, education, interpretation and cultural mediation involved in museums of art, history, science and society meet in this bilingual symposium. Participants present work and projects in progress or completed, as well as specific educational programs. Several research interests are raised regarding the visitor, the educational and cultural offer in museums. The SIGEM symposia are a space for sharing and thinking on significant questions that animate both academic and museum environments. It is also an opportunity to get feedback from peers and get a glimpse of previously unsuspected research avenues (Allard, Landry et Meunier, 2006: 10)*. At the end of these seminars, an arbitrated publication is produced. The next meeting will be held at Brock University located in one of the world’s reserves of the biosphere by UNESCO, near Niagara Falls (St Catharines, Ontario) in May 2014 (date to be determined). http://congres2014.ca/propos-Du-Congres. *Allard M., Landry A. et Meunier A. (2006), « Où va l’éducation muséale? », Émond A. (dir), L’éducation muséale vue du Canada, des États-Unis et d’Europe : Recherche sur les programmes et les expositions. Québec : Éditions Multimondes, p. 9-20. Patrimonialisation des camps d’internement: quel dispositif testimonial?/ The patrimonialization of internment camps : Which testimonial system ? Panel session : How are museums financed ? Des visiteurs adultes de type grand public peuvent-ils être vraiment créatifs dans un musée des beaux-arts ?/ Could adult visitors of the ‘general public’ type be really creative in a fine art museum ?